2018 has been another great year for web design. There’s been advancements in technology to improve user experience and the connection we, as brands have with our customers. We’ve witnessed new styles and increased focus on accessibility for all web users, ensuring a consistent and smooth experience for everyone. Whether you’re a web designer who loves or loathes to keep up with the latest trends, it’s important to take the time to understand how and why each new trend has emerged, after all it provides us with key insights into the current cultural climate and what web users want to see as they browse online. While flat design (a minimalist design approach that focuses on usability) began as ‘just another trend’, it has since evolved into a standard design practice. The need for speedy website loading times brought about the rise of flat design, ensuring users had a positive experience on both mobile and desktop. The popular design style features simple illustrations, open space, typography and flat colours as opposed to data heavy, flashy illustrations that slows down site speed. 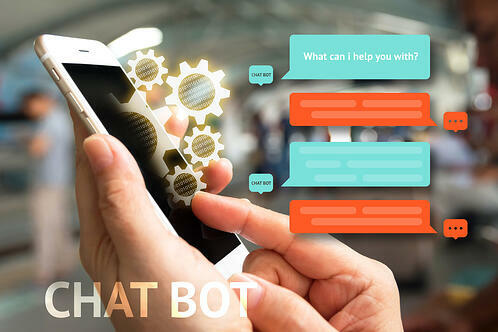 The rise of chatbots has been has been imminent now for a while, and we expect its popularity to soar in 2019. Advancements in Artificial Intelligence (AI), machine learning and the human like capabilities of bots has boosted their intelligence, making their adoption more appealing to businesses. Convenience, efficiency and reduced human error are all benefits that will contribute to the increased adoption of chatbots over the coming months. In 2019, we expect an increase in chatbots on web pages, with enhanced personalisation features to improve user experience. While web pages tend to be built within a set grid, in recent years designers have been opting for more natural shapes. Organic shapes are naturally irregular, or in other words imperfect. In appearance, they depict a more hand-drawn style, attracting the attention of your visitors and adding a humanistic touch to your site. Organic shapes add depth to web design, helping page elements stand out – a trend definitely worth watching out for in 2019. Having been underutilised and overlooked in the past, white space has finally found its place in the ‘less is more’ mindset currently being adopted by many web designers. More brands will focus on creating a simple, yet functional site; opting for clean layouts and an abundance of white space that draws attention to the key elements on the page. Adopting white space not only improve page readability, but also help website visitors digest your content. Choosing the right colour scheme for a website is one of the most important elements for the success of a brand. Colour creates a mood, resonates with your user and acts as visual cues to guide visitors throughout your site. In 2019, we’re expecting black and white palettes to make a strong appearance in web design. Together, black and white create an appealing duo; strong and assertive meets softness and purity. Adding a slight splash of colour provides the biggest impact when opting for a black and white palette, a combination we expect brands will adopt to draw attention to particular aspects of their site. With the majority of online browsing now carried out on mobile devices, the importance of designing a ‘thumb friendly’ navigation experience is crucial. In 2019, we expect to see big changes in how menus and navigation are positioned in web design. Think of the hamburger menu situated on the top of your screen, an inconvenient place for visitors to reach as they manoeuvre around your website. It’s predicted that more websites to adopt navigation bars at the bottom of mobile screens to offer a more comfortable browsing experience. 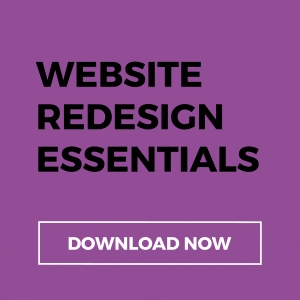 Will you be putting any of the above web design trends to the test in 2019? Let us know your thoughts below.